A man is facing a jail sentence after his top-of-the-range sports car crashed into an elderly motorcyclist, causing devastating injuries. 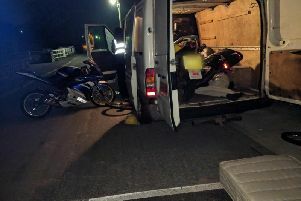 It struck the oncoming motorbike on the brow of a hill, causing “very serious” injuries to 71-year- old rider Alan Atkinson. Mr Atkinson, from Fylingthorpe, Whitby, is said to have spent about two months in hospital.